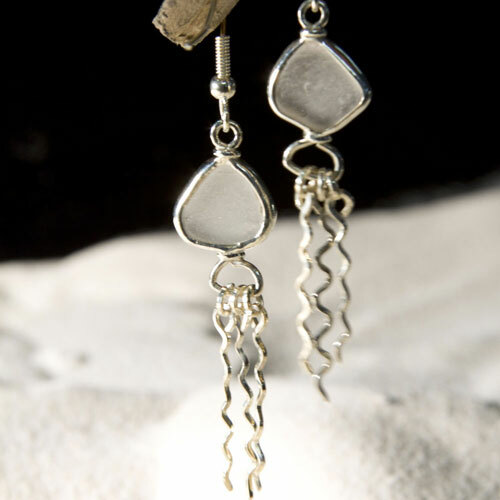 These sterling silver earrings feature white sea glass found on the shores of Santa Cruz, California. The sea glass stones are set in a sterling silver bezel soldered attached to a hand formed earring with catch. Not measuring the earwire these are 2" long x .3" wide x .2" thick. Each earring total weight 1.7 grams (a penny weighs 2.6 grams).